Water treatment. 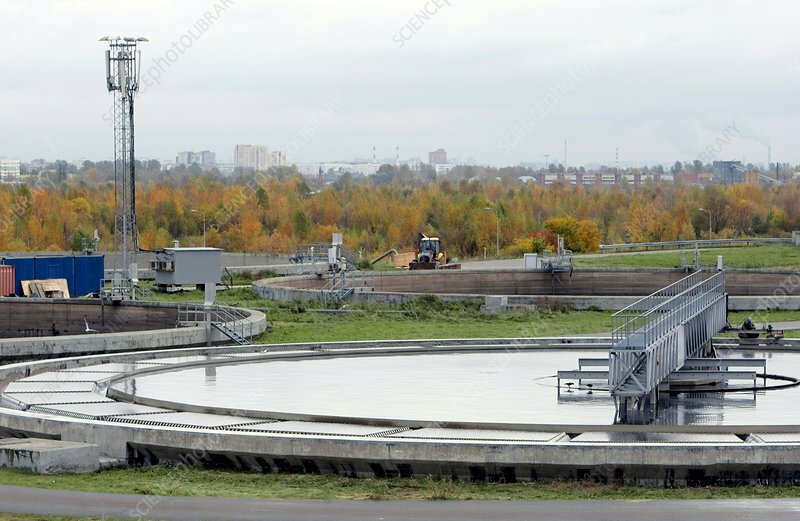 View of a sewage treatment plant for waste water. Photographed at St. Petersburg, Russia.